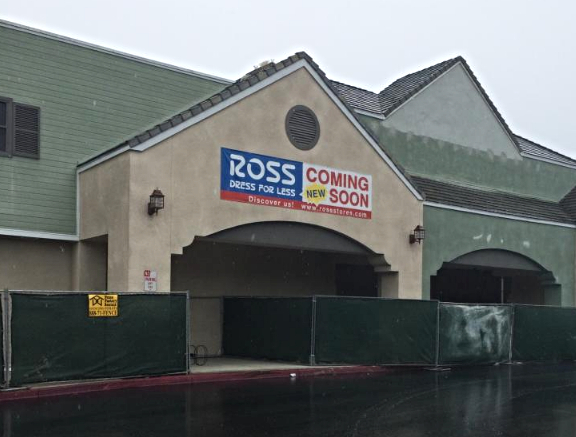 The long awaited Ross Dress for Less store is a-building at the Mandalay Shopping Center on Channel Islands Blvd. in Port Hueneme. Founded in Pacifica, California in 1950 by Morris Ross, Ross Stores today ranks as the third largest off-price retailer in the United States. When Barbara Rentler took the reins as CEO in 2014, she became only the 25th female chief executive of a Fortune 500 company. Construction is expected to be completed by the end of August. 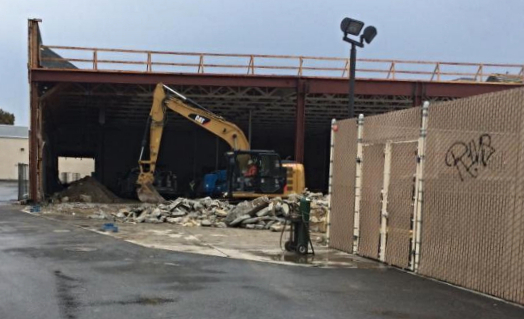 If all goes well, the new Port Hueneme Ross Dress for Less should open for business by the first of October. The United States Senate has passed its version of the National Defense Authorization Act, including language previously approved by the House of Representatives that might provide funding for additional sand replenishment at Hueneme Beach. Ships that use US ports pay a tax into the Harbor Maintenance Trust Fund (HMTF). 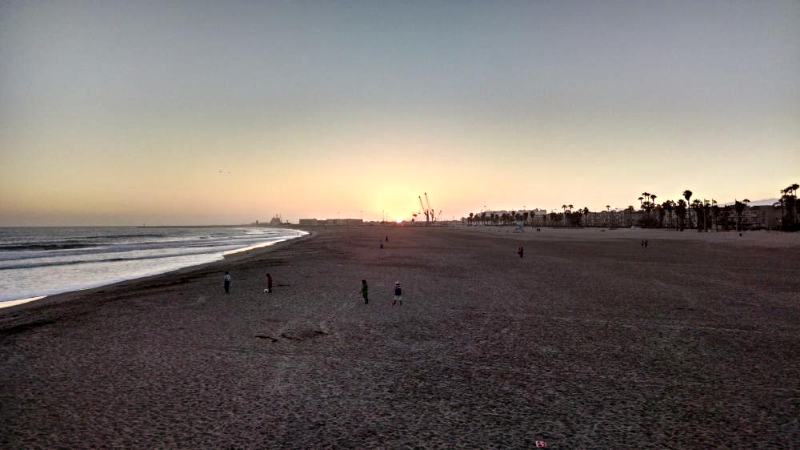 In previous years, Congress authorized spending from the HMTF to supplement budgetary appropriations for port related projects such as the Channel Islands Harbor dredging project that provides sand for Hueneme Beach. However, during the past four years, Congress has chosen to let the fund build up without authorizing the typical level of spending. The Water Resources Reform and Development Act (WRRDA) of 2013 authorized appropriations from the HMTF with a ceiling that increases up to 100% of revenue in 2025. The spending formula is structured so that California harbors should see a huge improvement, as they have traditionally been shortchanged, contributing more to the fund than they received in benefits. This would seem to bode well for the local project, yet there is still a long way to go before any sand makes its way to Hueneme Beach. Congressmember Julia Brownley (D-Westlake Village) led the effort to authorize the funding. Her office, however, urged caution. Although the HMTF language appears to be secure, there are still differences between the House and Senate versions of the two bills. The Obama administration has also expressed concern with the present language. Partisan differences center around the Democrats’ emphasis on operations and maintenance, and the Republicans desire for a larger, better paid military force. On the cusp of Summer, emergency units from Port Hueneme, Oxnard, and the County of Ventura were called out in response to a reported vessel in distress. On Saturday afternoon a Mayday was received from a motor vessel with thirteen souls aboard off Ormond Beach. The engine had failed and the craft was in danger of washing ashore near the power plant. Oxnard Water Rescue and other units were dispatched to Hueneme Beach, standing by to render assistance. Fortunately, the Harbor Patrol was able to fasten a line to the stricken vessel and tow it back to port, safely resolving the situation. —Ed. Wheel Fun Rentals, the number one recreational rental company in the country, announced it is renewing a partnership with Big Brothers Big Sisters for a program called “Biking Buddies”. For the ninth consecutive year, “Biking Buddies” provides free rentals to underprivileged children and their mentors around the nation.